Welcome to this blog! I am an amalgamation of personalities, dare I say - fairly interesting ones ;). And these personalities - most of them - quite enjoy expressing themselves and getting to know others as well. 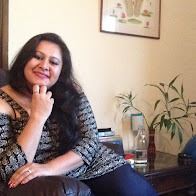 Whether it's health at every size or size acceptance; whether it's the counselling sessions I do or the breakthroughs I have in getting to know myself; my experiences on the Walk of Hope or my corporate avatar; I learn every day and intend to put my insights out here. Hope you enjoy reading and happy to hear from you! To never be the same again. Discovered on Earth that there is heaven. New places, strange faces reflecting my soul. The flame so bright dispelling all inhibition. If only for a moment to taste that heady abandon. I set out on 19th April 2016 oblivious to the events that were going to change my life forever. I knew I was doing something special as this was my first solo road trip with “time out” as the end goal. 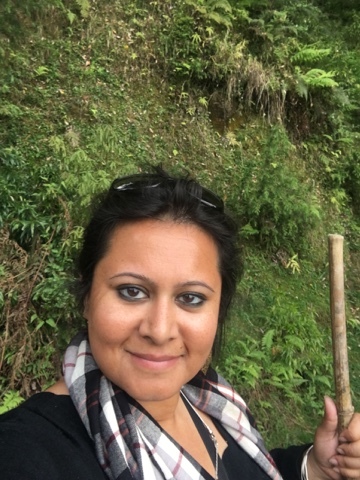 And I was looking forward to going to Khajjiar and staying at the homestay I had been told about but I was unaware of the ripples that were going to shake the world as I knew it. 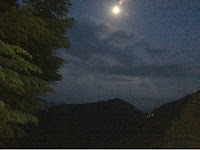 It began to dawn on me as we started our ascent into the hills – the rolling mountains, the winding road, the air beginning to clear and develop a cold nip – it was a cocktail that I wanted to savour every sip off. 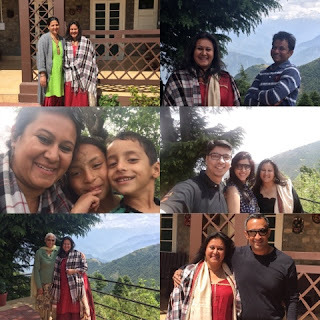 As we crossed Dalhousie and entered Khajjiar I knew there was no going back – my heart was loud and clear in its declaration of love and commitment to doing this over and over again. And it was with this soaring heart that I reached the Deodar Manor – a magical homestay a little above the Khajjiar meadow. As I got out of the car and emerged onto the driveway of the estate – the view had my smile stretch beyond what I thought possible. 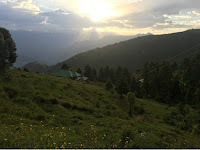 The stunning sight of the Pir Panjal range and the contrasting hues of green and brown as the hills descended into the valley took my breath away. The living green of the trees and grass dotted by the yellow and white heads of the brave little wild flowers was out of an enchanted forest. It felt like no lung full of that fresh cold air or ear full of the bird calls and the sound of the wind through the trees could ever be enough. I discovered that the mountains have a strange effect on me – my eyes just don’t tire of taking in the view. And this was only the beginning of the magic that was to unfold. I spent hours over the next few days under the sun and moon – my books forgotten as my senses were completely intoxicated by the sight of the ever changing view – mountains and terraced hills and valley and trees and butterflies and paragliders and flowers and sunrises and sunsets and moon phases and stars. Roger the 11 month Doberman and I struck up a special friendship as he barked territorial warnings at approaching monkeys, shared his attachment to the people he loves and listened with me to the birds and the wind and the murmurs of silence. Spending time with him involved a fair bit of scratching the back of his ears, rubbing the skin around his neck, touching noses and head pats - all of which I happily did while soaking in the beauty around and within - his little domain offered the best view on the property. My heart overflowed with joy and peace and I felt myself flowing with every moment – whether it was chatting with others at the homestay, walking around or sitting in silence every moment contained a lifetime of completeness. And then there was the walking through the woods – a dream come true – the trails and the paths through the ancient Deodar trees and over the greenest - green grass that would suddenly emerge into clearings and meadows and other thrilling surprises. It was out of a fairytale and other stories I have grown up reading and wishing to experience. Since I was alone I could do all the exploring at my own pace, there was no one I needed to catch up with and no guilt of slowing someone down. 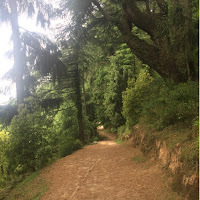 I surprised myself at my body’s ability to walk for hours both up and downhill over all kinds of terrain that usually pose a challenge for me. On one of my walks I met siblings returning home from school who took it upon themselves to be my guides and took me on a trail up to their home which had a view of apple orchards on one side and the mountains dropping steeply into a valley with the River Ravi like a shiny aquamarine ribbon snaking its way across, below. Despite it being a misty day the beauty of this image is etched in my mind and no photograph can do it justice. There is no end to the description of what my senses were exposed to over those three days - some that evoked too personal a response to even share. More than what I saw was what I felt – a sense of belonging to those mountains and the old wise trees, the fresh grass and the new flowers. A sense that this was home for me and that I needed to come back one day never to leave again. I have been to the hills before and since then, I have been lucky to travel to several parts of the world on solo trips but never before did I feel what I felt here. A sense of freedom, of timelessness, of flowing into the joy within and of belonging. 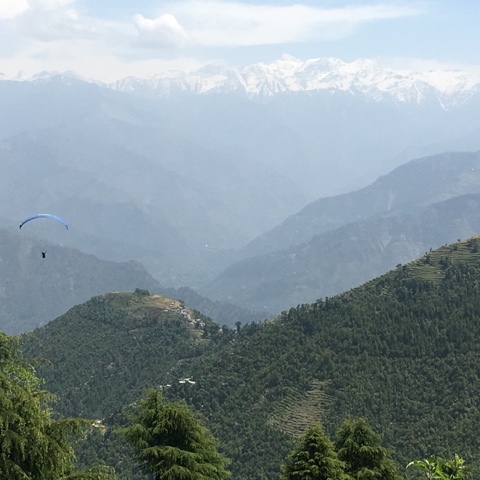 It was heartbreaking when I had to tear myself away from Khajjiar and while it may sound dramatic – it is only in the knowing that I can and will go back that I could leave. I have read and heard accounts of people saying they fell in love with such and such place and left their existing worlds behind to build new lives there – and I would wonder why they could not just visit and keep visiting. 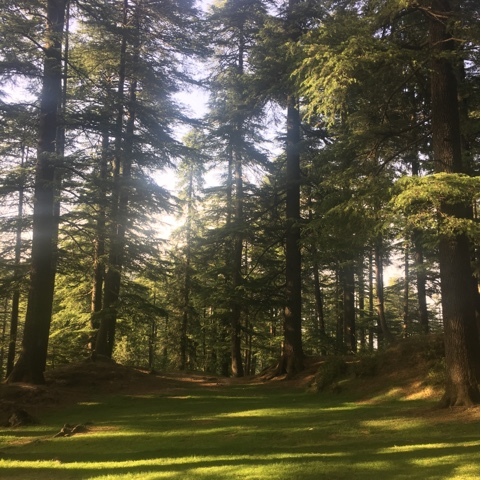 This visit to Khajjiar made me understand. 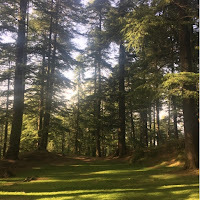 As I wrote to one of my friends as I travelled from Jammu to Srinagar through the breathtaking vistas of Patnitop and Kashmir - “While I appreciate the beauty all around me my mind keeps going back to Khajjiar - the mountains and the trees, the walks and the clearing. This morning I stopped to admire the way the light was dancing on the leaves of the trees I was passing and once more an image of something I had seen in the clearing popped back to mind... And that's when I realised... You've been in love so I'm sure you know the feeling of how everything one does reminds one of one's sweetheart especially when one is away... Well this is what this is... I am in love and while these places are also wonderful - they only serve to remind me of the place my heart belongs to right now. I do not know how this story ends – will I go back or not, will it be as enchanting or have I over romanticized it. This may be the beginning of many new loves for me or this may be the happy ending that I eventually settle down to. Whatever the future may hold I cannot be what I was before I did this trip. The only way to describe it in words is that doing this solo road trip, staying in this homestay and exploring that land opened a space for me – a space of fearlessness and curiosity. I always loved travel but from what was earlier an option this trip has made exploration a necessity. Seeing new places and developing a different sense of viewing the world is now a part of who I am and I am already ready with my next adventure. I cannot complete this piece without mentioning the people I met who made this even more special. Sapna and Raju (Nitin) who were the cook and caretaker respectively who spoilt me silly and when I left told me it was like losing one of their own. Theirs is an unexpected friendship and we are still in touch through Facebook and the mobile world - they often send me pictures of the table laid out with goodies or Roger or selfies and urge me to come back. Shailja and Krish Sharma – my little guides who tell me they miss me and send me pictures of their latest adventures – Shailja all of 10 wants to become a doctor when she grows up and is looking forward to going to boarding school in Dalhousie next year. 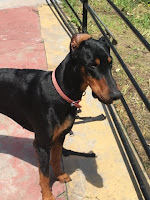 Other guests who showed up at the manor with strange connections to my world – one couple that stays 15 minutes away from home in Gurgaon and we continue to be in touch. Last but certainly not the least Hanut and his mother - auntie who baked a cake for my birthday, whom I had long chats with on plus size modelling and chicken recipes, whom I admire for her strength and practicality and who surprised me with the affection she showed to someone who was just a guest like myriads of others who come and go. And then Hanut – hospitable, warm, kind, funny, knowledgeable, adventurous, free spirited, disarmingly honest and a good combination of intelligent and brave for having chosen this life. He drew me out despite my reticence and disarmed me by getting me talking about almost everything I am passionate about – a mean feat for such a short time spent together. By the end of my stay I knew I would miss the chats and walks we had as well as his unexpected insights and wisdom and the inspiration his life has become to me. Someday perhaps our paths will cross again and till then I am sure he continues to brighten his part of the world and blanket in warm hospitality other guests to the manor and his other properties. You are invited to comment here!